I have recently become engaged to be married and am so looking forward to getting married and starting my own family. With 124 days to go until the big day, I have decided to take a closer look into pre-conceptual nutrition and how to increase egg health and fertility. An egg takes around 90 days to become ripe for ovulation, therefore you have to start making changes to your diet three months in advance for there to be any effect. Preparing for a health conception ensures your eggs are health and enhances fertility. There are many things we can do to increase our egg health and our fertility during the 90 day cycle of an eggs journey towards ovulation. The most important step is changing your diet, other factors include blood flow, oxygenation around the body, hormonal balance and stress. Eating a fertility diet in preparation for pregnancy and to boost fertility has been proven to increase the chances of healthy ovulation, prevent recurrent miscarriage and support a healthy pregnancy. By changing the way we eat we will be supporting and enhancing our bodies reproductive system. It will aid our hormonal function, production and balance, the health of our blood, egg health and so much more enabling us to make our eggs nice and healthy and most importantly build up nutrients such as iron for a health baby. Effectively we are givng our baby the best start in life. Why should I swap to a fertility diet 90 days before trying for a baby? So we have all the nutrient in our body before falling pregnant. A deficiency in nutrients can cause serious birth defects. Because in 90 days time food you have eaten today will impact the health of your eggs. Because the number one cause of infertility and lack of ovulation is due to the diet we eat. Changing the way you eat will support a healthy body which in turn can heal itself and create healthier cells for you and your baby. Focus on changing root vegetables to organic. as studies have shown they are more nutritional than non organic. What are the benefits of a fertility diet? Provides antioxidants, vitamins and minerals which help to protect egg from the damage caused by free-radicals. Provides the body with an abundance of vitamins, minerals, antioxidantsÂ and other nutrients needed for optimal health. May decrease chances of a miscarriage due to insulin resistance, damage done by free radicals to DNA, and egg and sperm health. Try to include all of the following list into your diet.Â A good way to ensure you get lots nutrients, antioxidants, vitamins, minerals and enzymes into the body is to make smoothies. I find it best to have them first thing in the day. Fish such as salmon, halibut, macrel, sardines and herring have some huge fertility-boosting benefits. Full of protein, vitamin D , but most importantly omega-3 fatty acids. Omega-3 and DHA (Docosahexaenoic acid), have a significant impact of egg health. As your body store omega-3s for several weeks, it is a important you getting enough before conception to ensure levels in your body are high when you become pregnant. Omega-3 fatty acids (specifically DHA and EPA), are important for a baby’s brain and eye development. Ensure your meats are grass fed and organic. Red meat is a rich source of Vitamin B6. Vitamin B6 is one of the most important vitamins for conceiving and fertility because it contributes to the regulation of normal hormonal activity. Red meats are also packed full of iron which lowers the risk infertility arising in the ovulating process. Iron helps boost red blood cells whilst reducing the threat posed by anemia. Red meat also offers a great source of zinc, supporting ovulation and maintaining efficient cell division. You can release bone marrow by making a bone broth. Bone brothÂ will support a women reproductive system. The broth made from bones is full of minerals including calcium and magnesium, which are needed by the uterine muscles to function properly.Â The bone marrow will also increased red blood cell production from and gelatin levels. Gelatin is rich in glycine, Glycine nutures the thyroid with highly anti-inflammatory properties. Â It heals damaged intestinal lining from years of high fibre diets, gluten indulgence, food sensitivities and allergies, and leaky gut. Gelatin also helps the body to process excess estrogen, which can be harmful to reproductive health. Other nutrients include phosphorus, silicon, sulfur and other trace minerals that are vital for creating a healthy new life. 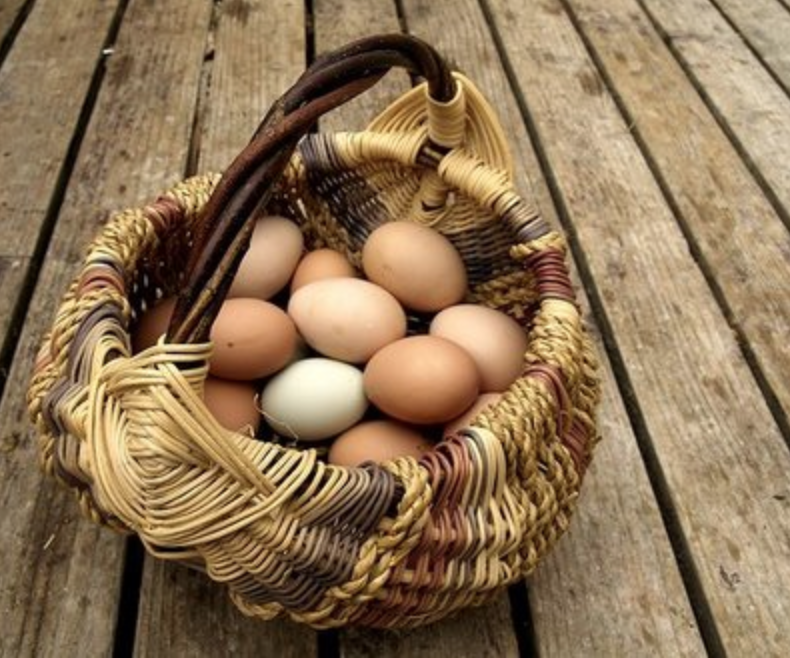 Eggs are amongst the most effective foods for promoting your fertility. The yolk is where you will find the most fertility-boosting nutrients. With a high concentrate of vitamins like vitamin B12 and E, they are also full minerals, protein, along with amino acids like choline, which improves follicle quality which prevent neural tube birth defects and aids in brain development. Full of vitamin E, magnesium,Â packed with chlorophyll, high in phytosterols (which support our hormone system and stops us overload our body with oestrogen). This super food will help your body detox. Studies have shown that women who do not get sufficient amounts of iron may suffer lack of ovulation and possibly poor egg health. A great fertility foods to add to your diet. Kale is high in folate, calcium, magnesium and iron which makes our red blood cells super healthy. The iron in green leaf foods such s kale contain nonheme iron, this iron from plants will help you become pregnant. High in magnesium this little mineral has been known to help women get pregnant faster. Spinach is also high in folate (vitamin B9 otherwise known as folic acid), calcium, vitamin E and iron. Women who have enough iron in their body have a higher fertility rate than women who are deficient in the nutrient. High in calcium, magnesium, iron which is vital when you are on your periods. Load up on this hight folate food will help your babies development in the first few weeks of pregnancy. Are high in monounsaturated fats, avocados are a great source of vitamin E, which is essential for egg health. Avocados are also high in potassium which regulates blood pressure and vitamin K, which helps your body effectively absorb nutrient. Contains lots of important nutrients such as potassium and antioxidants which are great for fertility as it creates healthy cells.Â Asparagus is high in fibre which is good for our digestive health and folate, which is known to prevent defects such as spina bifida in an unborn child. Help you to build iron stores in your body. They are rich in folate and have an amazing ability inÂ clean your liver and detoxing free radicals from your body. This grain has some great properties and should most certainly be included in your preconception diet. This fertility boosting gluten-free carbohydrate is high in fibre, folate, zinc,iron,Â B-vitamins, magnesium, phosphorus, potassium, calcium and vitamin E.
All berries will offer a variety of benefits however blueberries are a must add to your shopping list. But be sure to get organic blueberries because they tend to be one fruit that holds on to pesticides more than others. Blueberries are high in folate vitamin C, K, and B6, as well as manganese and phosphorus and are a good source of fibre. Blueberries are packed with antioxidants, which help prevent cell damage and aging to our eggs. Blueberries are aÂ powerful anti-inflammatory, which is beneficial for those looking wanting to conceive.Â They help by clearing the body of inflammation; supporting ovulation by making and releasing healthy eggs. ByÂ keeping your fallopian tubes clear this will help transport the embryo to your uterus and keep the lining of your uterus healthy. These little dried berries are packed full of antioxidants. Studies have shown that they can promote follicle growth in women. Oranges, lemons, and grapefruits are full of Vitamin C, which helps stabilize your ovulation and encourages the release of an egg. Vitamin C also helps reduce stress levels Citrus fruits are also rich in folate which is the naturally-occurring form of folic acid. Women need 400 to 800 mcg or micrograms of folic acid a day. You should take this from before you are pregnant until you are 12 weeks pregnant. Make sure you buy full fat greek yoghurt. Full fat dairy was found in one study to be good for female fertility as it contain more calcium than milk Yoghurt is a great source of vitamin D, which helps the follicles in your ovaries mature.Â Greek yoghurt also contains probiotics, good bacteria that help to boost your immune system. Eating calcium-rich foods such as Greek yoghurt will now will help ensure the proper functioning of your reproductive system,Â strengthens bones and boosts immunity. Is a mixture of tree sap, tree buds, tree leaves and other botanical properties that bees make to make their hives water tight. Bee propolis is amazing as it is high in vitamin and mineral rich and supports and enhances the immune system. A study published in fertility showed thatÂ 60% of women with infertility issues related to endometriosis, who took 500mg of bee propolis twice a day for 9 months became pregnant â€“ as opposed to 20% in the placebo group. Consists of every nutrient needed to maintain a health body preconception. Bee pollen contains a rich source of vitamins, minerals, proteins and amino acids, hormones, enzymes and fats, as well as significant quantities of natural antibiotics. Some of the vitamins included in pollens are carotenoids which are later converted inside the body as vitamin A, Complexed B vitamins, Nicotinic acid, Pantothenic acid, and Folic acid, vitamin C, vitamin E, vitamin K, vitamins D, and other various nutrients that will support us before conception. Bee pollen also increases estrogen production which may result in the release of healthier eggs during ovulation.Â The healthier your eggs, the better chance you will have to become pregnant. This fertility superfood is hard to find but is worth researching as it is believed to increase the egg quality and quantities. Royal Jelly is the food which the bees fed to the Queen Bee to make her a queen rather than a bee. Royal Jelly is a bit likeÂ a hormonal stimulation for her to become the Queen Bee. Royal Jelly nurtient rich. Contain zinc and omega 3s, which are essential in the formation of many female hormones. Chia seeds can also help prevent insulin resistance. These little seeds are high in protein, polyunsaturated fats,phosphorous, magnesium, manganese, copper, iron and zinc which are great for the immune system. Zinc is important for the cell division. High in omega 6, this Calcium-rich nut will help you stock up on your stores of this vital nutrient, good for your bones and those of your baby-to-be. To be taken in seed form that has been crushed.They are a good source of alpha linolenic acid (ALA), a precursor of the omega-3 fatty acids. Fatty acids needed for the brain development of the foetus as well as providing potent anti-inflammatory oils. It is recommended that you only eat flax seeds it only from ovulation through the luteal phase. This phase starts straight after ovulation and ends when your period begins. Not to be used once you become pregnant. Contain a magical ingredient called selenium. Selenium is a mineral which helps to make antioxidants which in turn protects the egg from free radicals. This little mineral can help prevent chromosome breakage, which is known to cause birth defects and miscarriages. High in fiber and one of the only vegetarian foods that contain omega-3. Bursting with magnesium, which helps produce progesterone and increase blood supply to the uterus,Â which in turn is great for your fertility. Unroasted nuts are better to best bought as roasted lose some of their nutrients. Almonds are high in vitamin E, a vitaminwhich has been linked to infertility. Vitamin E is also an antioxidant that will help to protect the egg DNA. Vitamin E and they also help improve insulin resistance helping regulate blood sugar levels i our body which will help with conception. Is a great way of adding protein to our diets. Itâ€™s super easy for our bodies to digest and contains essential fatty acids, amino acid and antioxidants. Fatty acids are essential for a strong reproductive system in women. Helps increase circulation around the body and reduces any inflammation that maybe in the uterus, ovaries or fallopian tubes. Fresh ginger helps other nutrients to be absorbed easily into the body. Ginger is a great source of Vitamin C, magnesium, potassium, copper and manganese. Ginger is best to be avoided in large amounts when pregnant. hight in a blend of green superfoods, sea foods, fruit extracts with acai, pomegranete and goji. Greenâ€™s Wild Berry Burst is quite literally packed full of nutrition. This will help detoxify your body and boost your immunity. Add 3 tsp to smoothies. A nutrient rich algae which contains antioxidants, minerals, and proteins that will alkalinize the body and nourish and fed your eggs. One tsp of powder daily can be sprinkled into a smoothie. A nourishing and balancing reproductive super food. It will help balance your hormones. Maca powder is essential in contributes to healthier eggs. Maca powder contains 31 different minerals and 60 Phytonutrients (plant nutrients). Only buy certified organic maca powder and add one tsp to a smoothie daily. Works best when both you and your partner consume. Also known as the golden herb is great for the female reproductive system. Tumeric has been proven to improve the health of ovaries. Ensure you buy the best quality you can afford. Curcumin ratio needs to be aroundÂ 3.5%. Curcumin is the main active ingredient in turmeric. It has powerful anti-inflammatory effects and is a very strong antioxidant. I suggest using 1/2 teaspoon to begin with, with pinch of peppercorn (which aids assimilation of the turmeric). Vitamin D plays a critical role in reproductive health. Vitamin D will help toÂ lower estradiol and progesterone.Â Estrogen dominance is one of the main causes of infertility. Vitamin D also helps keep bones healthy and strong by helping the body absorb calcium. Recent research shows women who have a sufficient vitamin D intake are more likely to become pregnant than those who are deficient in vitamin D.
Enhances both male and female fertility. CoQ10 is used to produce energy for health cell division and early embryo development. Helps to increase the mitochondrial energy production in the eggs and protects them from free radicals. Choose a brand that has 100% natural tran-isomer and prefrably 800-1000mg. Â Be sure itsÂ ubiquinol form too. Cod liver oil is a great for fertility. It is one of the highest dietary sources of vitamin A. Vitamin A assists the follicles in maturing properly. Both in the maturation of an egg and then in assisting the follicle in producing the hormones needed to aid the fertilized egg into the uterus. So if your body is low on vitamin A, a follicle may not be able to function correctly. Cod live oil is also full of Vitamin DÂ which is crucial to fertility. Vitamin D promotes proper development of the bones, especially during the 3rd trimester when the fetal skeleton begins to grow rapidly. Cod liver oil is also a good source of the long-chain omega-3 fats EPA and DHA.